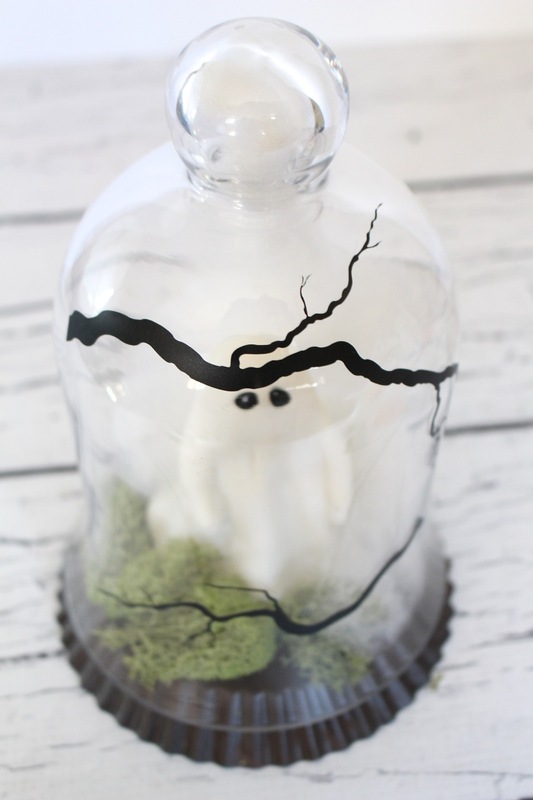 I love a creepy Halloween decor project, especially when it takes less than 15 minutes. 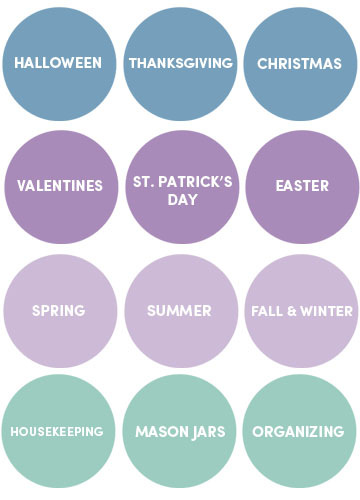 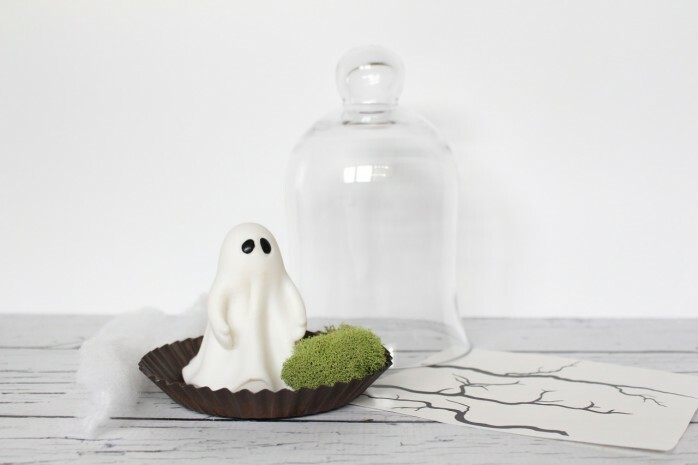 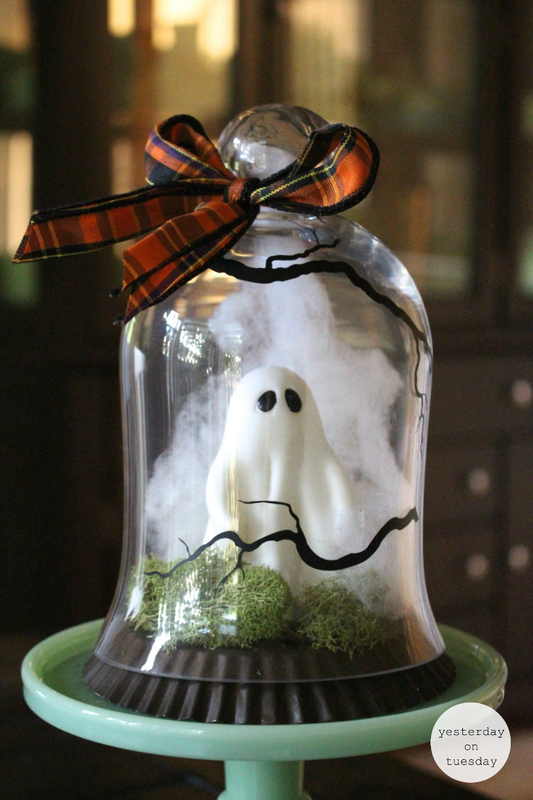 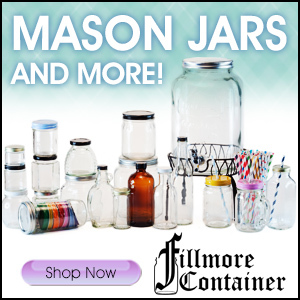 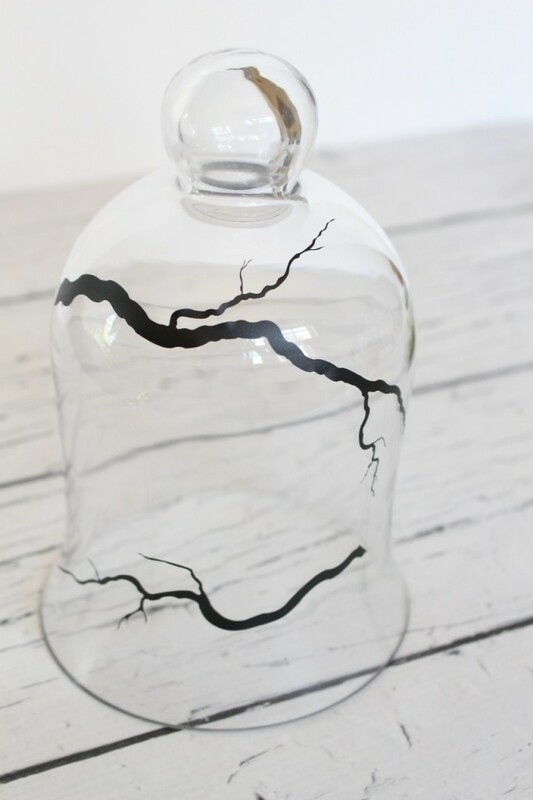 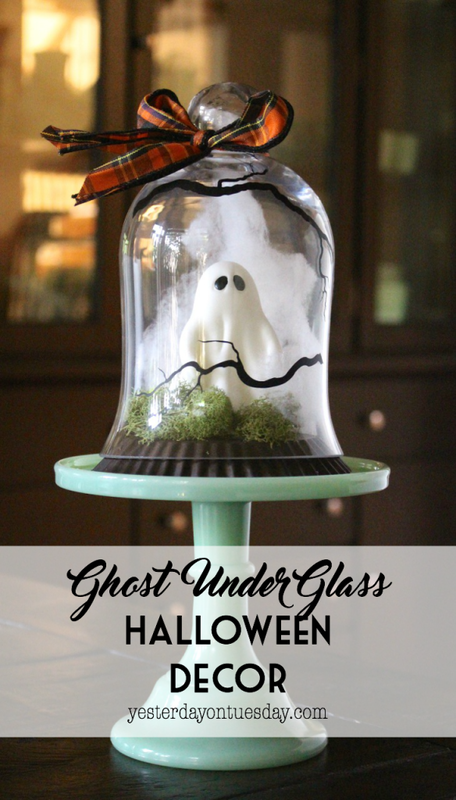 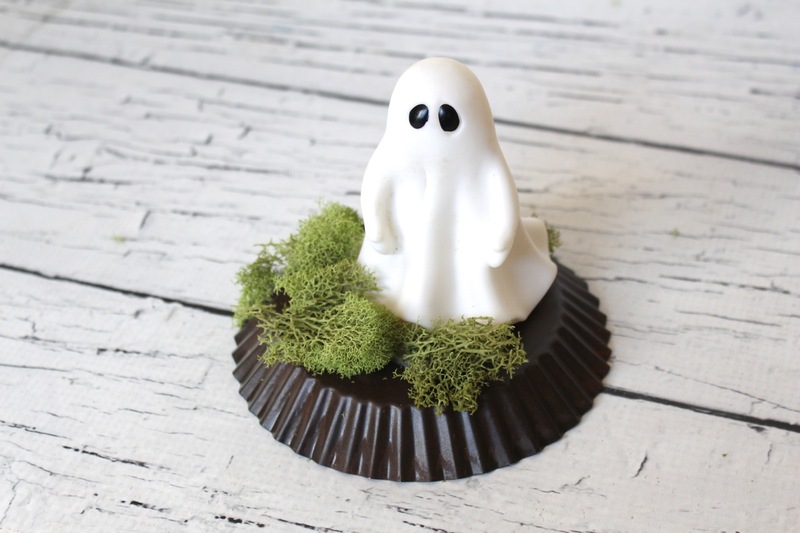 This fun cloche makes your home sweet home feel more like a haunted house! 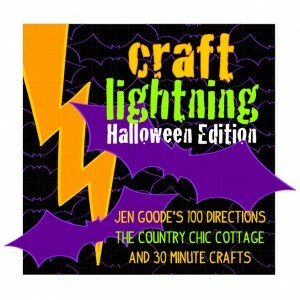 It’s Craft Lightning, Halloween Edition. 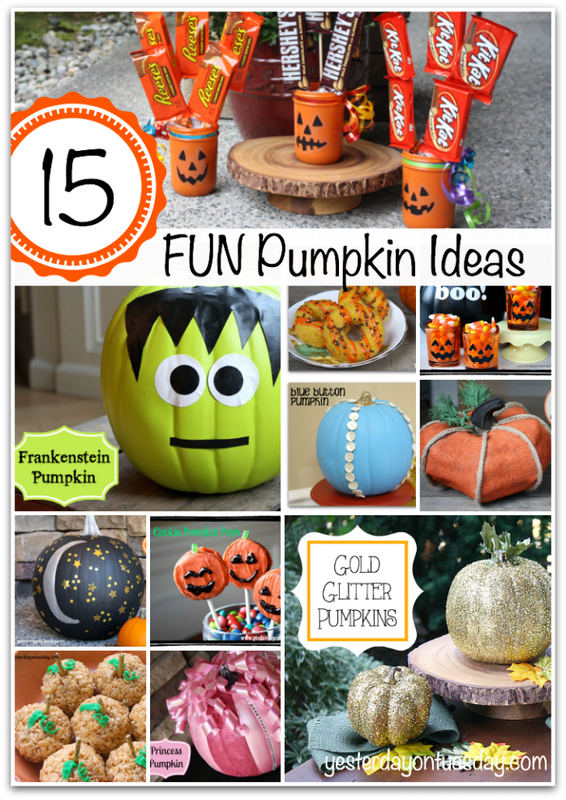 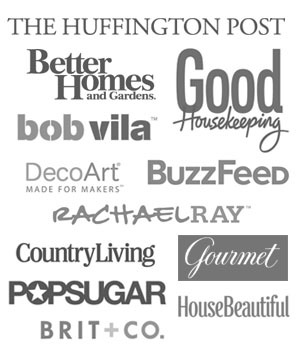 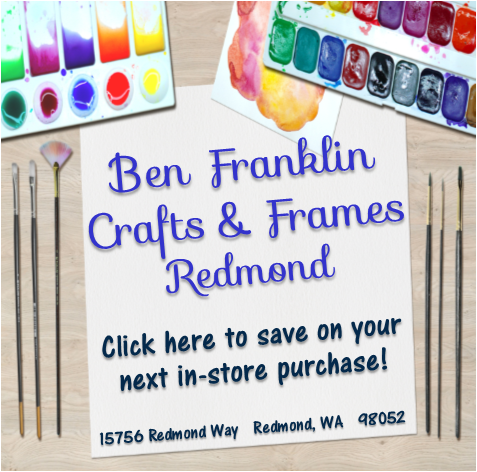 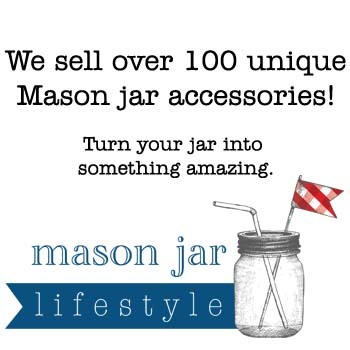 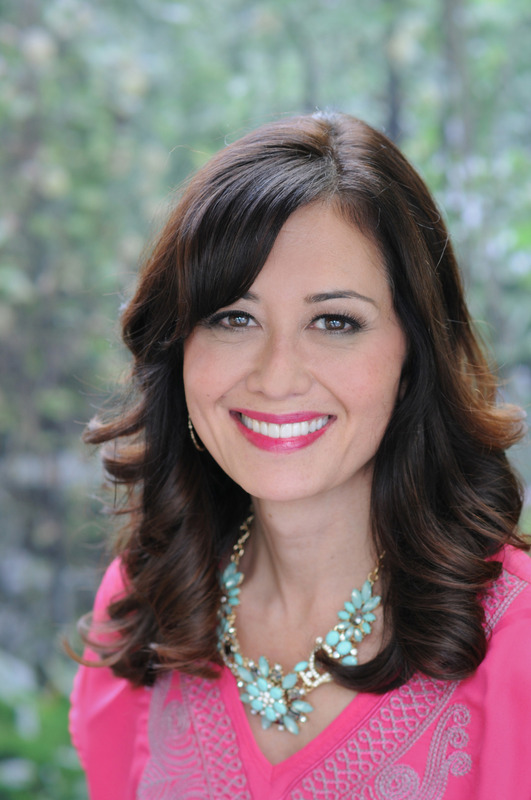 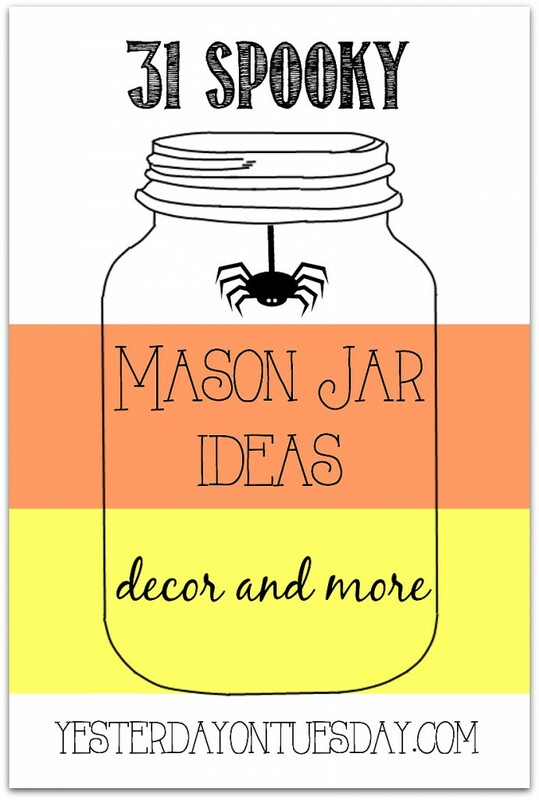 Stop by Jen Goode’s 100 Directions, The Country Chic Cottage and 30 Minute Crafts for tons more QUICK and SCARY Halloween Projects… all can be done in 15 minutes OR LESS! This is such a cute decoration for Halloween!